Connacht miss out on the last eight, but Munster could have home advantage through to the semi-finals. CONNACHT’S SAPPING DEFEAT away in Toulouse today finally settled the outcome of the 2016/17 Champions Cup pool stage and set up a mouthwatering set of knock-out fixtures. 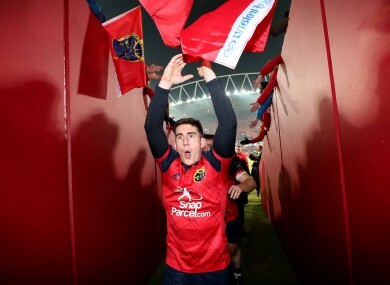 Munster and Leinster will have home advantage for the quarter-finals on the weekend of 1 April. The southern province will welcome Toulouse back to Thomond Park. Leinster will face Jimmy Gopperth and Wasps. The dates and kick-off times will be confirmed this week. When it comes to the semi-finals, the winners of quarter-final one will face the winner of quarter-final two and the victor of quarter-final three against quarter-final four. The EPCR will reward clubs who advance via away quarter-finals with home advantage in the semi. Otherwise, home advantage in the semi-finals will remain with the higher seed. For example, if both Clermont and Leinster win their quarter-finals, then Clermont will have home advantage in the final four. But if Wasps win in Dublin, Clermont will have to travel to England for the semi. If Toulon and Leinster win, the eastern province would still have to go to France. In Munster’s case, they will have home country advantage in the semi if they beat Toulouse and Saracens beat Glasgow. Otherwise, the semi-final will go to France or Scotland. Email “Toulouse go to Munster, Leinster welcome Wasps as Champions Cup 1/4 finals are set”. Feedback on “Toulouse go to Munster, Leinster welcome Wasps as Champions Cup 1/4 finals are set”.